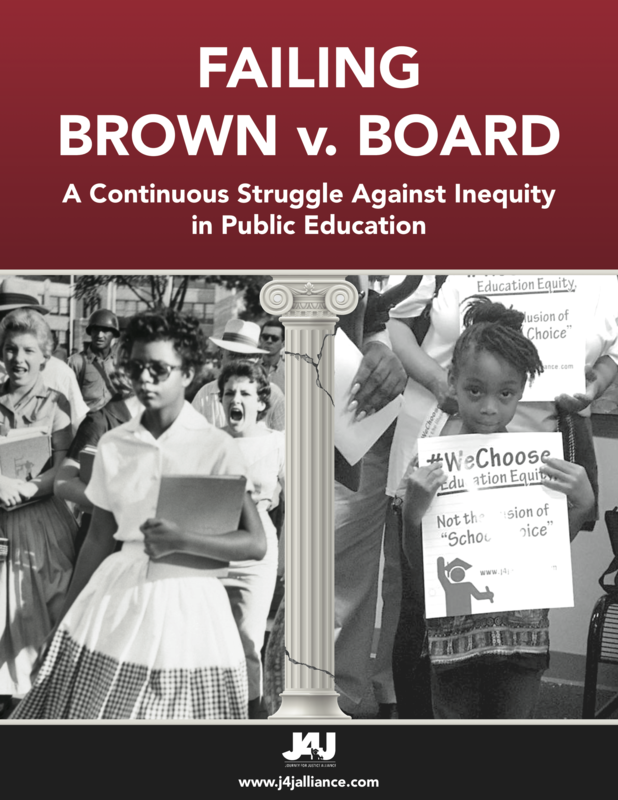 Journey for Justice Report: ‘Failing Brown v. Board’ – THINKINC. Journey for Justice members in 12 predominantly Black and Latino school districts across the U.S. conducted a simple assessment of educational opportunity. In each district or area, we chose two schools: one serving a majority of Black and/or Brown students, another more affluent and serving a larger percentage of white students. We gathered lists of the course offerings at each. Schools were either compared to others in the same district or to a school in a neighboring suburb. Our “snapshot” comparisons demonstrate the daily reality for millions of students. Some attend schools with a wealth of interesting and engaging-sounding academic course options, along with a sometimes dizzying range of arts and career programs. Others attend schools that lack the courses and opportunities that allow students to find and follow their passions or to meet the requirements for a public college or university in their home state.